Arthur Yunov, MD, is a compassionate internist and primary care doctor serving the Brooklyn community of New York City at C+Y Medical PC. 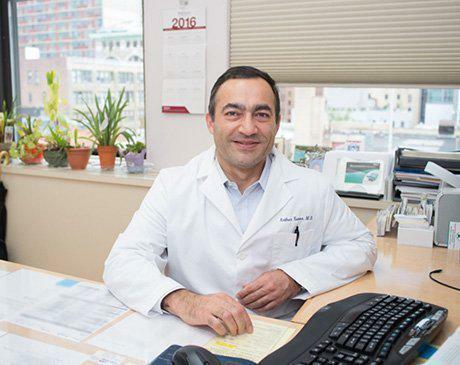 Dr. Yunov received his medical degree at Andijan State Medical Institute in Uzbekistan before moving to New York to complete his residency at North Shore University Hospital. Fluent in both English and Russian, Dr. Yunov enjoys having patients from a variety of backgrounds and is dedicated to providing them with the highest quality care. When you’re a patient of Dr. Yunov’s, he guarantees you’ll receive the same kind of personalized attention he would expect for his own family. He also offers after-hours appointments to ensure that treatment is available whenever needed. In addition to caring for his patients at C+Y Medical, Dr. Yunov is also affiliated with Kings County Hospital Center, a hospital known for its pioneering role in medicine, cutting-edge technology, and advanced treatments. Dr. Yunov is certified by the American Board of Internal Medicine. He is currently accepting new patients.